General Studies Paper – I: 300 Marks. 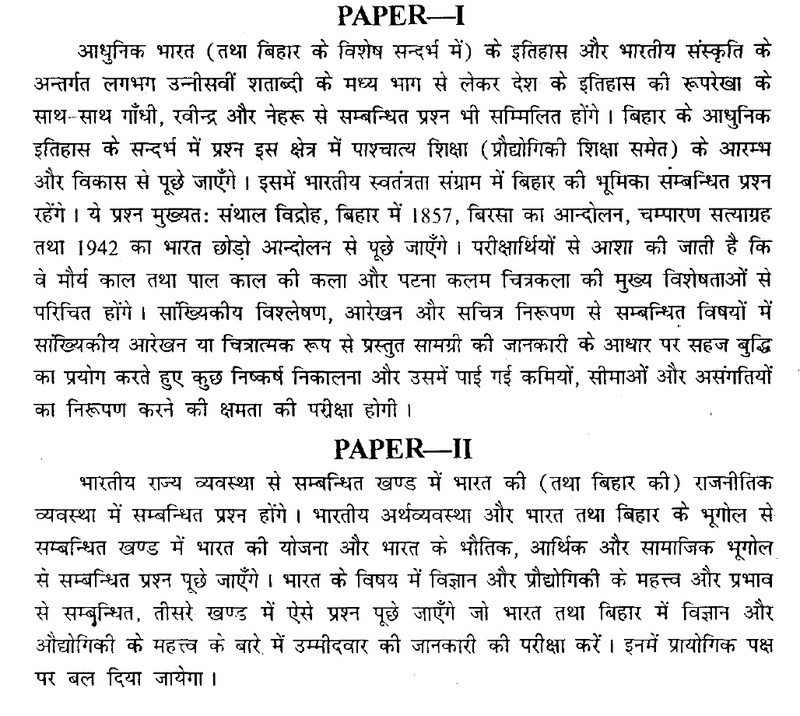 •	Section – 1: Modern History Of India and Indian Culture. •	Section – 2: Current Event of National and International Importance. •	Section – 3: Statical Analysis, Graphs, and Diagrams. General Studies Paper – II: 300 Marks. •	Section – 1: Indian Polity. •	Section – 2: Indian Economy and Geography. •	Section – 3: The Role and Impact of Science and Technology in the Development of India. 1. सूचना का अधिकार अधिनियम किस सीमा तक भ्रष्टाचार पर रोक लगाने मे सफल हुआ है ? सूचना के अधिकार के तहत किन किन सूचनाओ को सार्वजनिक नही किया जा सकता ? 5. आधार परियोजना की वास्तविकता क्या हैं ? यह किस हद तक नागरिकों तथा देश के हितों का संवर्धन करेगी ?